Ecotech Office Environments is one of the largest buyback companies serving North America. We are the only source you need for disposing of your used office furniture and systems. We specialize in assisting our clients by purchasing and consulting in regards to your pre-owned office furniture. Our buyback solutions offer a variety of options for you to choose from to find what best fits your needs. Ecotech Office Environments will work with you and review your current needs to direct you to the proper option or solution to maximize the return on your furniture assets. Ecotech Office Environments can represent your assets, products and inventories throughout North America. By utilizing our extensive database of more than 4,000 facility managers throughout North America, we will exclusively market your furniture to obtain the highest product value. 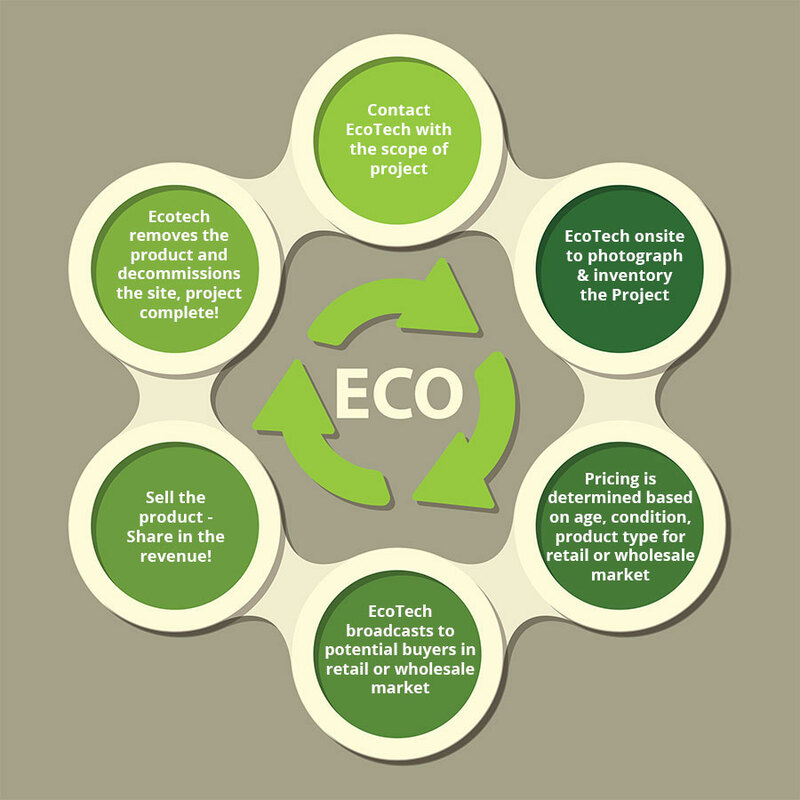 Ecotech Office Environments can create a revenue sharing program for your projects representing both the retail and wholesale marketplace. Please contact us directly at (716) 580-3725 or at [email protected] to discuss the many revenue sharing options that are at your disposal.